With the growth of Junebug Weddings over the past 4 years, we receive more and more amazing submissions for our blog and Real Weddings library all the time. 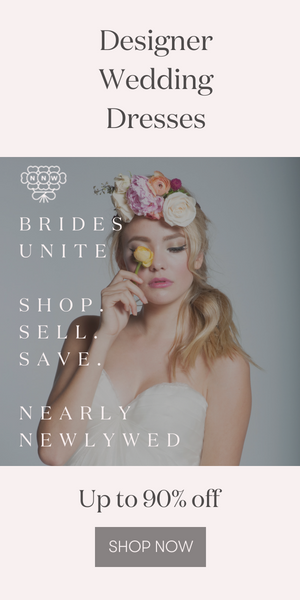 Now that we also accept content through Two Bright Lights (a super awesome tool – wedding professionals, check it out!) I just had to find a new way to showcase even more of these inspirational stories and ideas than ever before. So dear readers, problem solved! Today we’re introducing our new Wedding Style Features! A mini real wedding if you will – a snapshot of the unique personal style and approach that these creative couples from around the world chose for their weddings. You’ll see beautiful images, hear directly from each couple, and hopefully feel encouraged and inspired to create your own wedding that’s a perfect reflection of you! Stay tuned for more all week long! Without further ado… the beautiful Riki and Will! What inspired your personal wedding style, and how were your personalities incorporated into your big day? Will and I both wanted a wedding with some tradition, and with some modern things that were ours. We picked my parents house as the venue and used their corvette as an entrance for the ceremony. It was beautiful and brilliant! The reception was bright and crisp, which stepped away from tradition and brought in our current style. Looking back, what are the moments, decisions or memories that you love the most about your wedding? The moment we saw each other for the first time was incredible as we both teared up and had to try to keep it together (for a bit at least). Also, walking into our reception tent for the first time to see how beautifully put together it was, and having all of our closest family and friends there to celebrate this wonderful event with us! We couldn’t have done any of this without our AMAZING wedding planner Victoria Canada. She is the most incredible lady, and without her our day wouldnt have been as special and as beautiful as it was! Thank you so much Riki and Will! The dress….the car….the chandelier. All simply divine! I agree! And those colors – love the two shades of blue. This was such a fun weekend. It was made possible by the above group of people. They made it extra ordinary and beautiful. The blue in the invitations and accompanying stationery is beautiful and so radiant. Gorgeous. First of all, can I just say that she is GORG?! Second of all, I’m absolutely obsessed with everything that’s hanging here…the chandeliers, the ceremony flowers, the place card settings, etc. It’s all wonderfully beautiful!